The International Criminal Court recently warned Colombia that any peace agreements, including the Legal Framework for Peace, that are not compatible with the Rome Statute will be reviewed by the office of Fatou Bensouda, the ICC’s prosecutor. In the past, Bensouda spoke out against the Legal Framework for Peace, a transitional justice strategy that includes prioritization and selection of cases against the most responsible for crimes against humanity or war crimes; the conditioned dropping of all other non-selected cases; and the suspension of selected sentences. The Legal Framework for Peace exempts from criminal prosecution countless guerrillas and paramilitaries responsible for war crimes and crimes against humanity, and so is seen by many as an amnesty in disguise. The ICC also expressed concern about holding the military accountable for cases of false positives, which were the extrajudicial killings of civilians who were then passed off as members of illegal armed groups. 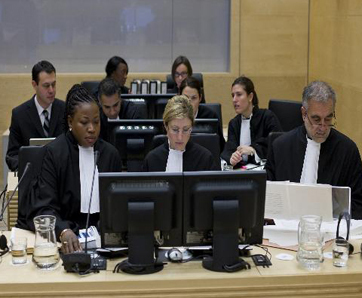 The ICC is equally concerned with cases of sexual crimes committed by all sides. The Legal Framework for Peace invites the International Criminal Court to Colombia. If Colombian authorities do not address gender violence, ICC will. Violence Against Women in Colombia’s Conflict. Women are most vulnerable among displaced. Girls Raped By Armed Forces. Scandals of “false positives” reveal army’s human rights abuses run deep. Bill that sends military crimes to civilian courts still faces opposition. 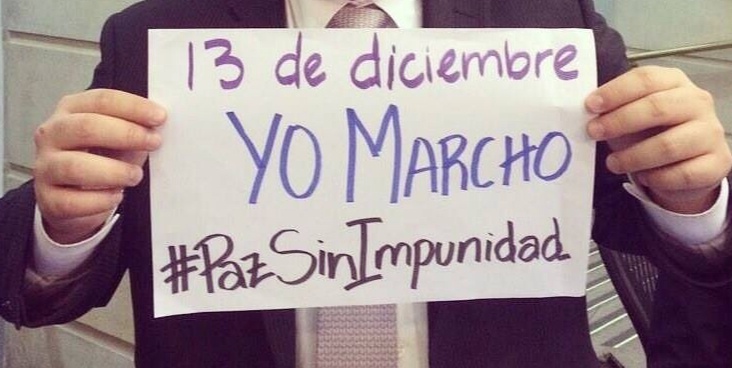 A march called #PazSinImpunidad (#PeaceWithoutImpunity) is being organized for Saturday, December 13. Compatriotas todos a marchar este 13 de diciembre por la dignidad de nuestro pais. Por una verdadera paz sin impunidad.